Cyborg Ceramics is a new body of work by Shawanda Corbett which combines contemporary ceramic techniques and cyborg theory. Shawanda’s historical research informs the form of these vessels from Egyptian glass, Middle Eastern utilitarian ware, African vessels and architecture. The work consists of a mixture of sculptural/temporary architectural vessels and utilitarian ware and the surface is influenced by the early Renaissance panel paintings and late Byzantine paintings. Shawanda utilises image and screen-printing to create texture like tempera and fresco paintings. 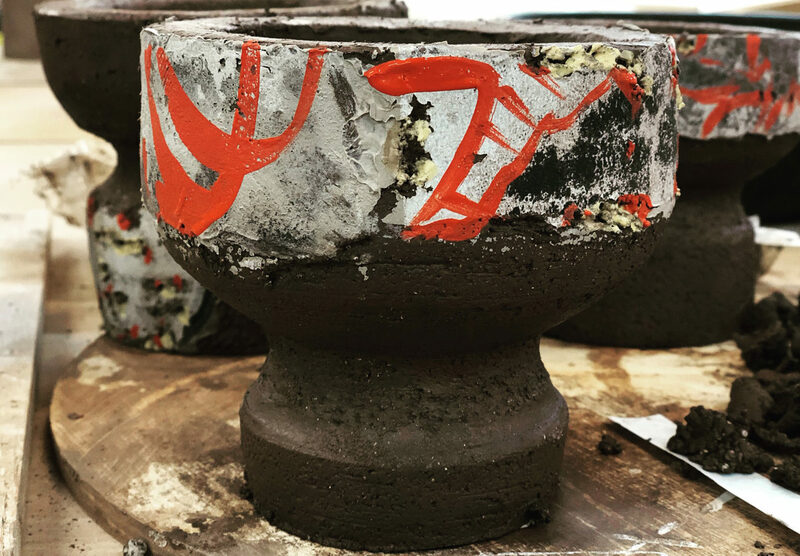 Shawanda is collaborating with different institutions to explore different firing techniques that compliments the surface.